Edmontonians tend to spend a lot of time in their cars. The daily commute is a simple fact of life for anyone living the suburban lifestyle. When you choose a location for your new home, it’s smart to consider what your commute will look like. Even the best neighbourhood will start to lose some of its shine if you have to spend two hours getting to work and back. At StreetSide, we want you to find a community that has everything you need -- including a reasonable commute. We’ve done some of the research for you. While the exact time it will take you to get to your job will vary, we’ve listed the common commute times for all of our communities. StreetSide’s maintenance-free bungalows in Ambleside offer residents the chance to enjoy an extremely comfortable lifestyle. 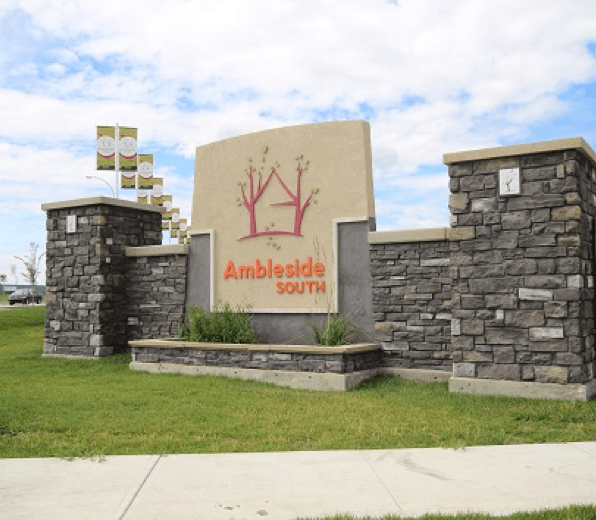 In the heart of the Southwest Edmonton area with easy access to the Anthony Henday, you can truly have it all when you live in Ambleside. Driving: The 20-minute drive to the airport makes early morning flights a breeze, and the 25-minute drive downtown is easy enough to do on a daily basis. Public Transit: Commuting to the city core by public transit does require two buses, but it will only take you about 53 minutes. Cavanagh is in the bustling Heritage Valley area, which offers the perfect blend of natural beauty and modern convenience. There are only ten large lots in this community, and each one backs up to the ravine. Get ready to enjoy some breathtaking views from your new home. Driving: With only a 16-minute drive to the airport and a 24-minute drive downtown, it’s easy to see why people have been choosing Cavanagh for their new home. Public Transit: Taking the bus will give you around an hour to read a book, watch another episode on Netflix, or get some work done. StreetSide’s condos at Crossroads of Rutherford have been so popular that we’re in the final phase of development. The prime location in Southwest Edmonton is probably the biggest reason people love this community, but having a pet-friendly building and a large green space out back are big bonuses. Driving: If you work around the airport, your commute will only take you about 15 minutes. If you work downtown, it should take about 25 minutes to get to work. Public Transit: Public transit is also a convenient option for those who live in Crossroads of Rutherford. It’s only about a 35-minute ride. For those who like nature, the lakeside townhome lots in Crystallina are a great choice. Set in the North Edmonton area, the community offers affordability and convenience. You’ll love walking along the trails in any type of weather. Driving: Crystallina has a great location for those who work in the downtown area or at the Canadian Forces base. It takes about 23 minutes to get downtown, and less than 10 minutes to get to the base. Public Transit: It’s possible to take the bus downtown, but you may have to take multiple routes, depending on where you’re going. It should take you just over an hour. The ride to the base also requires a few bus changes, but it takes just 50 minutes. 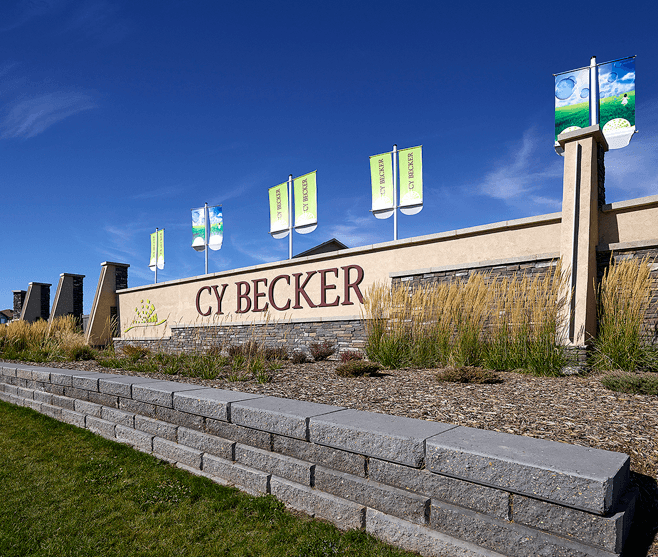 Also located in North Edmonton, the Cy Becker community has become a popular choice with families. The community features an extensive park and playground that includes a spray park, bike track, and ice skating rink, in addition to the usual swings and climbing structures. It’s also close to many of the amenities you’d expect in a suburban community. 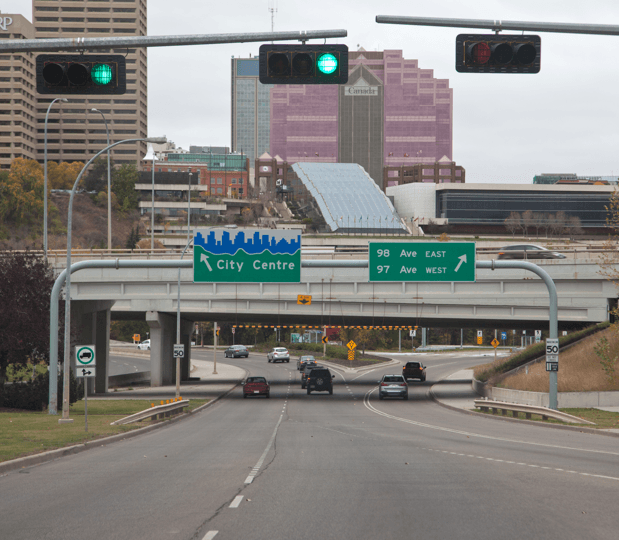 Driving: Cy Becker is also convenient for those who work downtown or in the North Edmonton area. It takes about 25 minutes to get downtown and 15 minutes to get to the Canadian Forces base. You also have easy access to the Anthony Henday, so you can quickly get anywhere in the city. Public Transit: If public transportation is a high priority for you, Cy Becker is a great choice. It only takes about 40 minutes to get downtown. Or, you can take the LRT and have a 42-minute train ride. The bus route to the base, though, is more complex, taking well over an hour. Desrochers is in the Heritage Valley area, and it features both fee simple and maintenance-free townhomes. It’s the ideal location for those who love nature, as it includes 25 acres of beautiful natural lands. Whether you enjoy a walk in nature or checking out the view from your balcony, Desrochers has a lot to offer. Driving: Those who live in Desrochers enjoy a 25-minute commute to the city, and it only takes about 15 minutes to get to the airport or the Nisku Industrial Park. Public Transit: Commuting to the downtown area by public transit will only take about 40 minutes, but it’s important to note that the buses only leave every 40 minutes. If you miss your bus, you could be in for a long wait. The bungalows we build in the Edgemont community are on a quiet cul de sac, with basement walkouts that lead you into Donsdale Park. If you love taking nature walks, this is the place for you. At the same time, the prime location puts you close to many modern amenities. Driving: The airport and the downtown area are both about 24 minutes away by car, and it’s easy to get onto the Anthony Henday. Public Transit: Taking public transit is doable, but it’s not quite as convenient, as ETS is still working to get more options to this neighbourhood. The trip to downtown takes about an hour and 10 minutes. With townhome prices starting under $200K, it’s easy to see why Glenridding is a popular choice. It also has a convenient location in the Southwest Edmonton area. As a bonus, the large number of walking trails in this neighbourhood may prompt you to give up your gym membership. Driving: From Glenridding, you can drive to the downtown area in about 30 minutes, the University of Alberta in about 25 minutes, and the airport in about 20 minutes. Public Transit: The bus to the downtown area takes around 45 minutes, and you save five minutes if you’re going to the University. You can have it all when you choose Graydon Hill for your new home. It borders on a protected wildlife reserve and it’s also close to modern conveniences. Best of all, though, is the way that the three-storey design of the townhomes allows you to get the best views. Driving: It only takes about 20 minutes for you to drive to either the airport or the University. The commute downtown is still less than 30 minutes. Public Transit: Public transportation is definitely a viable option for those who live in Graydon Hill. It takes about 40 minutes to get downtown, and this is only a little longer than it would take to drive. You may find that you like relaxing on the bus more than sitting in traffic! The backyards in the Laurel community are a bit larger than average, making this a popular choice for families. Its convenient location also gives you easy access to restaurants, shops, and recreation centres. What more could you want? Driving: Laurel is extremely close to the Anthony Henday, which means heading out to the airport or Nisku Industrial Park is only about 20 minutes. A trip downtown should take you just under 30 minutes. Public Transit: There are plenty of bus stops lining 24 St and 34 St, just a short walk away. 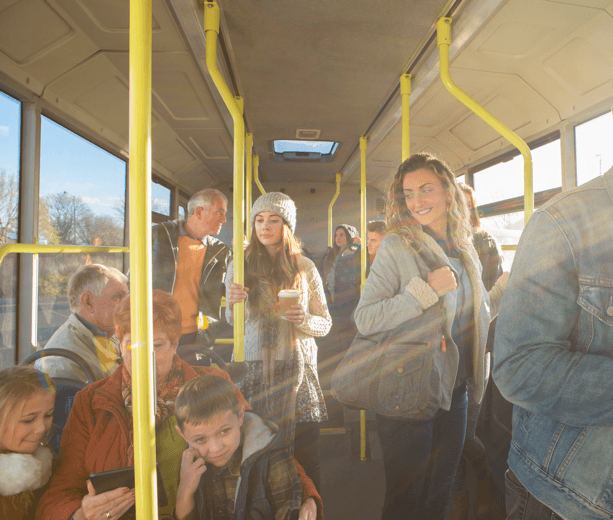 From there, you can connect to another bus at the Mill Woods Transit Centre to wherever you need to go! A ride into the downtown core will take around an hour. Located just outside of Edmonton in Spruce Grove, the McLaughlin community is a nice choice for those who want a quieter lifestyle. The great thing about this neighbourhood is that it’s within walking distance of a few shops, including an ice cream shop. Residents also enjoy private access to the Heritage Grove Pathway system. Driving: The drive to the downtown area is a straight shot down the Parkland Highway. It should take you just under 40 minutes to complete the trip. Public Transit: There’s a bus that can take you from McLaughlin to downtown Edmonton, and the ride is just over an hour long. However, bus times are extremely limited, so you’ll want to pay careful attention to the schedule. StreetSide builds both townhomes and condos in the Skyview community, so you’ll definitely have the choices you’re looking for. It’s in the central part of North Edmonton, giving you easy access to just about anything your family could want. Its close proximity to the city also makes this a great choice. Driving: If you lived in Skyview, you could be downtown in only about 20 minutes. It’s less than 20 minutes to the Canadian Forces base as well. Public Transit: Taking the bus downtown is easy from Skyview. There’s only a six-minute walk to the bus stop, then a single 40-minute ride. You don’t have to worry about changing busses, just enjoy the trip! Residents in Tamarack Common are loving the fact that they’re just across the street from the Meadows Recreation Centre. There are also parks and playgrounds within the community, which is set in the growing Southeast Edmonton area. A convenient lifestyle, affordability, and the choice of a condo or townhome make this an attractive option for many different people. Driving: Whether you’re headed downtown or to the airport and the Nisku Industrial Park, it will only take you about 23 minutes by car. Public Transit: Those taking public transit from Tamarack have to change buses a few times, but you can complete the trip to the downtown area in about an hour. The Uplands is in the southern part of Edmonton near the Saskatchewan River. You’ll enjoy a variety of amenities in this area, including several popular golf clubs. It’s a growing area, so now’s the time to buy. Driving: The Upland’s centralized location means that you can get to either the downtown area or the airport in around 25 minutes. Public Transit: With a short walk -- or a quick drive to the Mill Woods Town Centre -- you could take the bus downtown, getting there in about an hour. The Windermere area has been a widely popular choice for new homes due to its proximity to the Windermere shopping centre. StreetSide’s bungalow homes here are perfect for those looking for luxury. They have triple car garages and walkout basement areas. Driving: From Windermere, the downtown area is about a 27-minute drive, but the drive to the airport area is only about 20 minutes. Public Transit: The trip downtown by public transit is fairly decent. It should take you about 52 minutes. One of the best things about living in Edmonton is that you’re rarely far from anywhere you need to go. Now that you know how short the commute times can be for some of our most popular communities, you can narrow down your choices and take a look at which home option is right for your lifestyle.